Hi there! 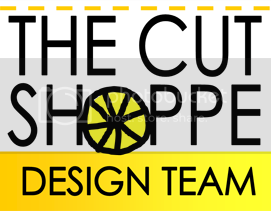 I wanted to share a new Cut Shoppe layout using the really fun Geometric Graffiti background cut file! 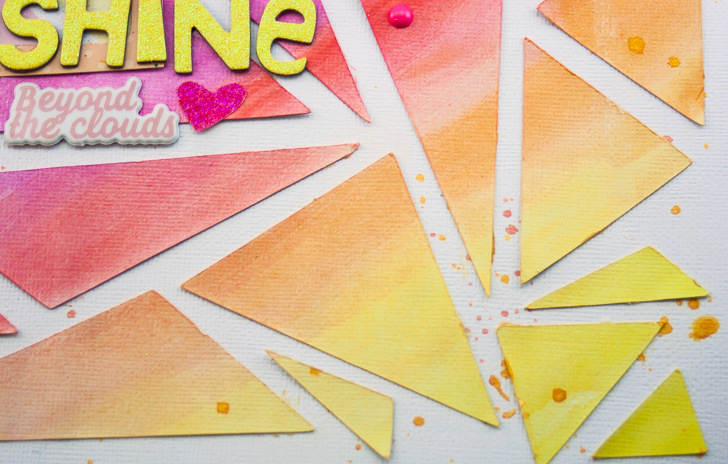 To create this layout, I cut the Geometric Graffiti background from white cardstock. While it was still on the mat, I painted it with watercolors. Once it was try, I lifted up the negative space and used it as a stencil to place the watercolored triangles on another piece of white cardstock. 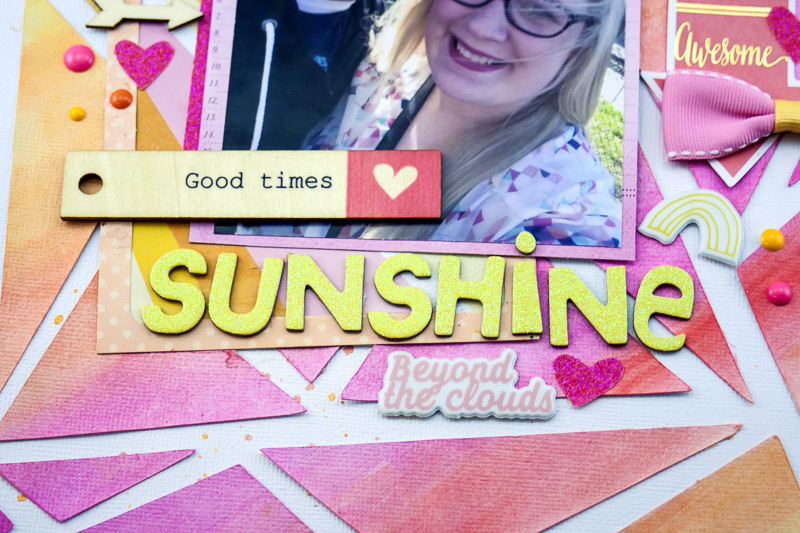 I added my photo and embellishments, and the layout was done! I wanted to keep it pretty simple to focus on the fun background! Thank you for letting me share my layout with you, and I hope you have a fantastic day! seriously beautiful, allie! i love the gorgeous colors!! This layout is amazing Allie! 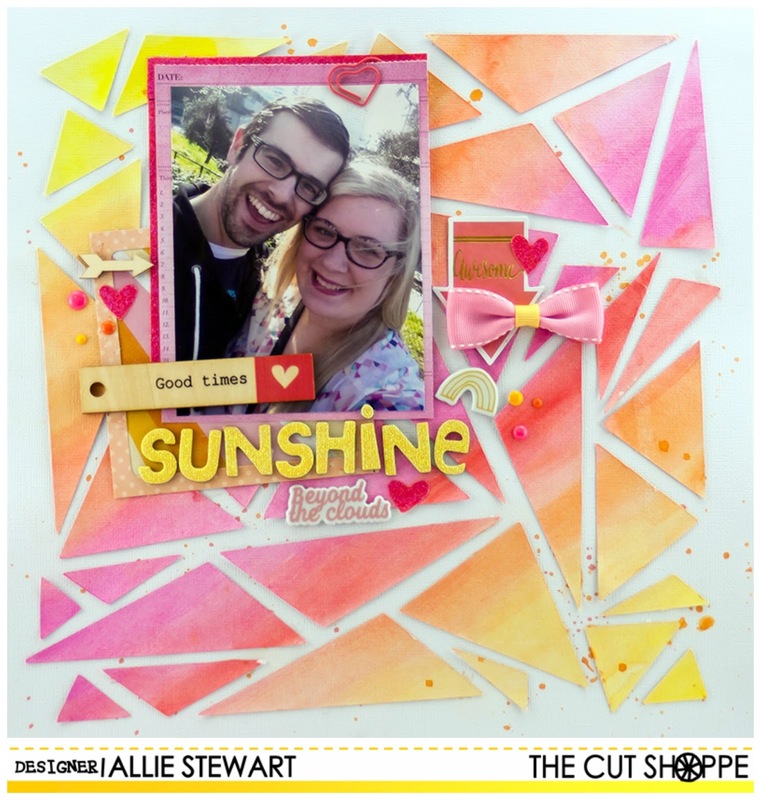 Love the way you used the shapes from the cut file and the colors are so gorgeous!! This layout is gorgeous! What a creative way to make it. I want to use this technique. Thanks for sharing your creative talents and inspiring others! 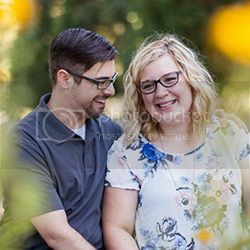 Loved learning how you made this page!